Looks like our boys are at it again. Bastards, either their DNS is un-patched or this is deliberate. Update: The bastards turned out to be MCMC!!! 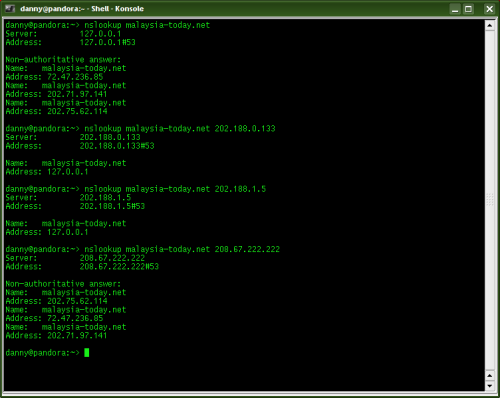 If you’re on streamyx and usingÃ‚Â TMNET dns servers (202.188.0.133/202.188.1.5/etc….) then Malaysia Today is off limits to you. 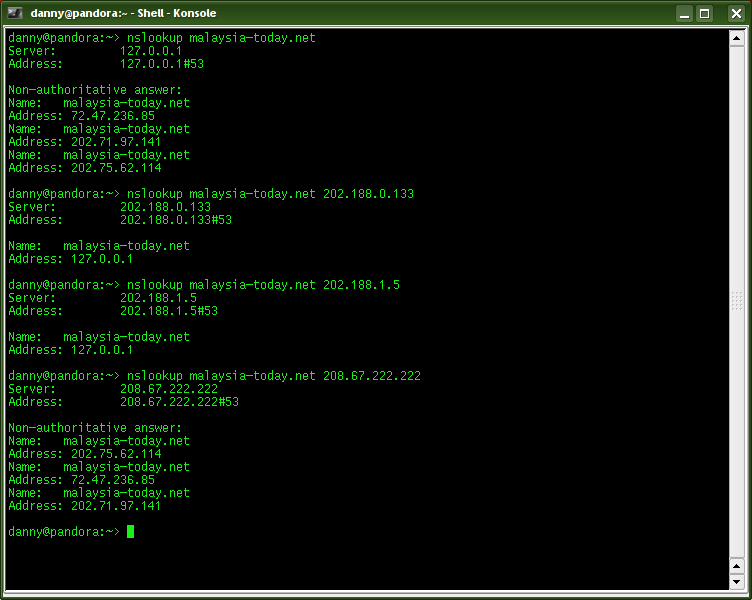 openDNS (208.67.222.222 / 208.67.220.220) and other DNS servers got it right so use them to get onto Malaysia-Today .